Bodegas Vega Sicilia is a Spanish winery located in the Ribera del Duero Denominacion de Origen in Valladolid, Castilla y León (North of Spain). The winery was founded in 1864 by Don Eloy Lecanda y Chaves, who planted various grapes from the Bordeaux wine region of France, including Cabernet Sauvignon and Merlot, which are still being used in the wines today. Since 1982, the same year that the Ribera del Duero was granted Denominación de Origen (DO) status, the winery has been owned by the Álvarez family who are members of the Primum Familiae Vini. In comparing the wines of Spain to the First Growth wines of Bordeaux, wine expert Hugh Johnson, after comparing Rioja producers Marqués de Riscal and Marqués de Murrieta to Château Lafite Rothschild and Château Mouton Rothschild, respectively, stated: "Vega Sicilia is the Latour; but Latour of a vintage that has raisined the grapes and fried the picking crews. "—a reference to the significantly warmer climate and different growing conditions of the Ribera del Duero. 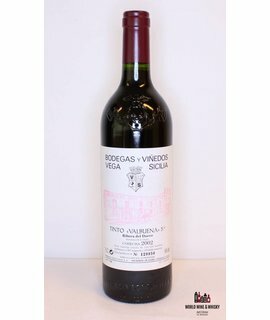 Vega Sicilia's wines are recognised worldwide as some of the finest and most valued red wines on the market. Vega Sicilia was founded by Eloy Lecanda y Chaves, a Spanish winemaker who was trained in the Bordeaux wine region of France. When he returned to his homeland of Castile, Don Eloy Lecanda brought with him several Bordeaux grape varieties. 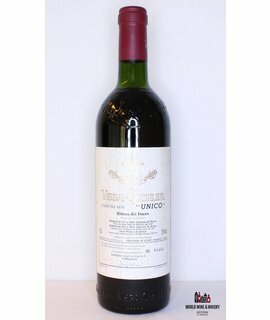 In the 20th century, Vega Sicilia earned a reputation as being one of the most notable wine in Spain. Over its history, the winery has had many notable winemakers including Mariano García who was winemaker from 1966 to 1996 before moving on to produce his own labels. Today, the current winemaker is Xavier Ausás.